Head Start Programs are very beneficial to local low-income families and their children. Not only do kids build the basic skills they need to be successful when they get into school, but they also gain access to a whole host of healthy opportunities that they might otherwise not experience. It costs a lot to run a Head Start Program. With all of the budget cuts that these early childhood education services have experienced in the past couple of years and the setbacks caused by Sequestration, which are still being felt nationwide, it is more important than ever before to find new ways to lower costs for Head Start. One way to cut costs without cutting spaces or opportunities is to lower the annual investment into office and janitorial supplies. SupplySource is a free resource that helps Head Start administrators connect with vendors that offer wholesale cleaning supplies and wholesale janitorial supplies, giving them the buying power of a large corporation. The discounts and savings that are realized by working with this discount supply source organization can be as much as 10-35 percent each year compared to previous spending. To some it may be obvious that these early childhood programs are beneficial, but for some reason, our lawmakers see fit to cut the budgets for these services more and more each year. For the families who depend on these programs, finding new ways to lower costs for Head Start operating and office supplies can help to keep these services open and available to serve the needs of children in the community. SOCIAL SKILLS – One of the ways that Head Start benefits children is through interaction with other children. As kids play together with play-dough, color with crayons or play outdoors on playground equipment, they are building social skills that will last a lifetime. Even arguing over a toy or listening to stories during circle time are extremely beneficial. BASIC EDUCATION – Children learn through play and in preschool situations, that becomes very apparent. Playing grocery store can help build math skills and playing house can help cement family values and dynamics. Encouraging parental involvement helps bring parents into the child’s education, building an interest that will last throughout their school years. Teaching children their basic alphabet, numbers, shapes, colors and other skills that are required for kindergarten will help them be ready for school at age five. HEALTHY NUTRITION – In addition to basic education, Head Start programs are also a great way for kids to be exposed to new foods, through the fruits and vegetables offered for lunch and snacks each day. In addition to giving discounts on wholesale janitorial supplies and wholesale cleaning supplies, administrators can lower costs for Head Start through savings on food supplies as well. SupplySource has a sister program called FoodSource Plus, which can help programs to supply children with nutritious food without breaking the budget. HEALTH CARE – Children who are enrolled in Head Start also have access to health care and dental care opportunities. Free toothbrushes and floss, as well as classes on how to use these tools properly for healthy dental care are offered on a regular basis. Discount supply source tools can help administrators to lower costs for Head Start with these types of purchases as well. All administrators need to do to join SupplySource is to contact our team and set up a time for a free analysis of your current spending procedures. We include this review of your operational costs for wholesale janitorial supplies and wholesale cleaning supplies free of charge, helping you to find discounts on everything from office supplies to janitorial supplies, accounting services and background checks to other administrative assistance. SupplySource negotiates with vendors at various discount supply source outlets to ensure that you get the best possible price. By negotiating for these prices ahead of time, you can enjoy immediate savings on the things you buy most. Programs can also receive discounts on one-time purchases, such as office equipment, playground equipment and more. Our management services are FREE to non-profit human services organizations, such as early childhood education programs. 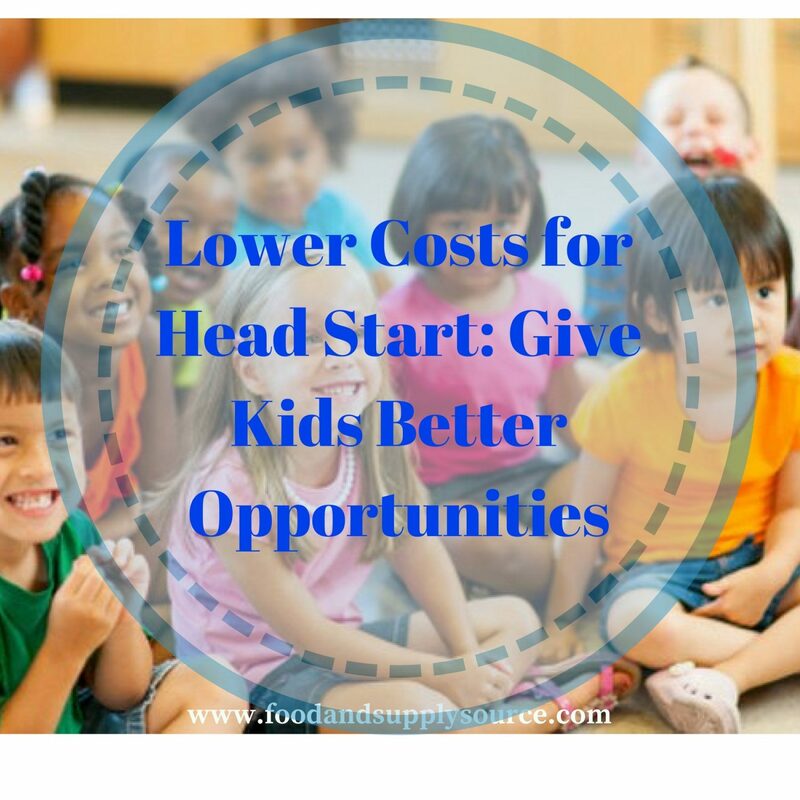 We can lower costs for Head Start by as much as 10-35 percent each year. Give us a call today at SupplySource to find out more about our free program and services. Our team will be happy to answer any questions you might have or schedule you for your free analysis and evaluation at your earliest convenience.